I think it’s fair to say that YouTube is one of the most attractive platforms for making money. Getting paid to do something you love, receiving praise from millions of fans, working with a flexible schedule, and enjoying other countless perks of being a YouTube star. But is YouTube really the best platform for content monetization? How much money do YouTubers make – and how do they do it? Most importantly, is it worth investing your time – and what financial rewards are you likely to reap? I know you’re dying to know the answers to these questions, so let’s dive right in! Here’s everything you need to know about making money on YouTube! First things first: how do YouTubers make money? 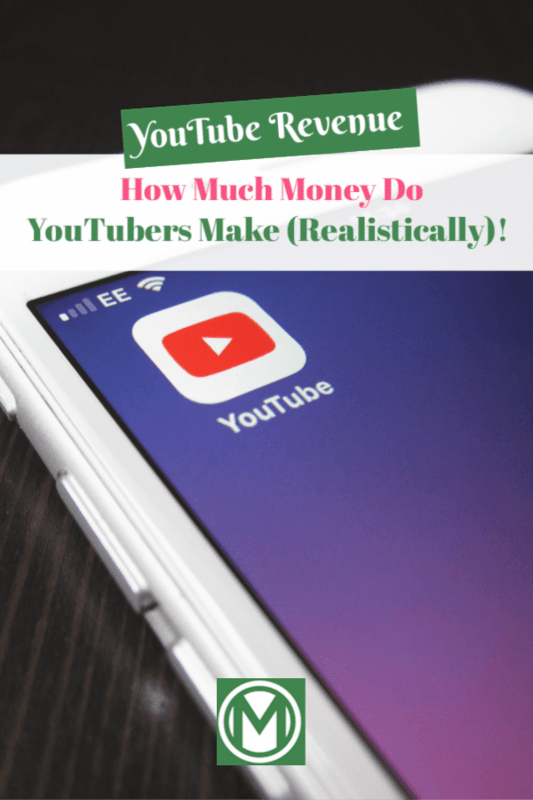 If you’ve ever found yourself scratching your head and wondering, “how the heck do people make money on YouTube?”, you’re about to find out. This is one of the most well-known ways of making money on YouTube. How much money do YouTubers make per view? According to several sources, YouTubers earn between 0.3 cents to 1 cent per view. How much do YouTubers make every 1000 views? Anywhere between $3 and $10, although that can be higher or lower in some cases. How much do YouTubers make per video? That depends on viewership and the ads displayed by Google – but it could be loads. For example, if a video has 1 million views, a YouTuber could be cashing anything between £3,000 and $10,000! How many views do you need to reach on YouTube to get paid? YouTube will pay you when you reach a balance of $100. How much does YouTube pay per subscriber? YouTubers don’t get paid per subscriber. However, subscribers are the ones who are most likely to watch your videos – so the more you have, the better viewership! Earning money with affiliate links involves reviewing a product or service. A YouTuber may be approached by a company asking them to review their product. The YouTuber will then talk about the product’s features, and how the viewers could best benefit from using the product/ service. There’s also usually a link in their video description directing viewers to a site where they can purchase the recommended product or service – and the links are set up as affiliate links. If the viewer ends up making a purchase, the YouTuber will receive a percentage of the purchase price. Affiliate links are relatively common on YouTube – and the larger your subscriber base, the more money you’re likely to earn. If a YouTube channel has a lot of subscribers and high engagement, the YouTuber could also get companies to sponsor them – and get paid for business promotion on their channel. Companies are constantly looking for ways to get exposure to people who may be interested in their brand. Since YouTube is the second largest search engine with roughly about 1.9 billion monthly users, it is the perfect platform for companies to engage with their potential customers. For a sponsorship to take place, the audience of the YouTube channel should be made up of people who the company wants to target. The brand would then pay to be promoted in a video or a series of videos, this way winning potential consumers’ attention while the YouTuber reaps the financial rewards. If a YouTube channel has thousands of devoted fans who love it and would do anything to keep it going – fan donations could also be an option. A YouTuber would ask for fans to transfer their donations through platforms like PayPal or Patreon. However, since people hate parting with their hard-earned cash, donations are more commonly used to keep a channel going rather than bring someone high earnings on YouTube. They support the creator of the videos financially and allow them to continue updating their channel with new content – but would be unlikely to make someone a ton of cash. Those who have built a strong following and a popular brand could also make a decent amount of revenue through selling things like t-shirts, tote bags, and hats with names, logos, and slogans associated with their brand. To make it lucrative, though, you will need to invest a lot of time creating a unique brand that has a substantial number of followers who are ready to spend money on your brand. So, can you actually make decent money with YouTube? The answer is simple: yes, you can make a lot of money on YouTube. But the majority of YouTubers don’t make very much. A handful of top performers make incredible amounts of dosh on the platform (we’re talking millions – and even hundreds of millions of dollars each year!). But that’s only a microscopic minority of YouTubers. According to a recent social media study, only 3 percent of YouTubers get 90 percent of all YouTube views. And with YouTube, as we’ve learned, money is where viewership is. 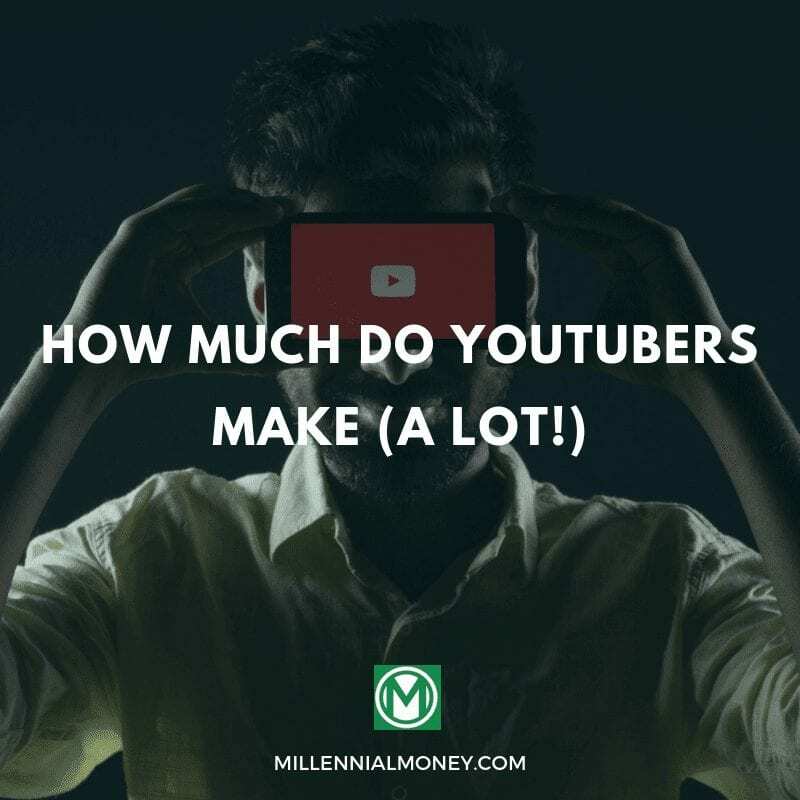 How much money do MOST YouTubers make? As appealing as the possibility of making millions on YouTubesound, the real picture is entirely different. A recent German study showed that about 97% of all aspiring YouTubers probably won’t make it across the U.S. poverty line ($12,140). And even if you make it to the top 3%, you’re looking at an average advertising revenue of about $16,800 a year – which is, like I said, not very much. On top of that, breaking through on YouTube has recently become even more challenging. Following a few high-profile scandals involving vloggers, YouTube has tightened its regulations making it harder for any YouTube newbies to start monetizing their page. This means that anyone who wants to start making money on YouTube will need to reach these metrics before they can start earning any income from it. Plus, YouTube is highly competitive. There are thousands of channels on just about anything: from celebrity news commentary to playing video games (all day!). From rants about random topics and pop parodies to diaries of parents raising young children. So, if you’re thinking of starting a YouTube channel with the hope of making money, you’ll need to come up with something uber unique that people can’t get enough of. Think you have what it takes, and are keen to give it a try? Check out this YouTube course which covers how to set up a YouTube account, and how to make money on YouTube. While attracting a million viewers may seem like a mission of a lifetime, some folks have been able to reach these enviable viewership figures – and are cashing in millions of dollars each year from the videos they post on their vlogs. Brace yourself – because these guys make whole lotta cash. Who’s Jeffree Star, you ask? He is a YouTuber and often controversial personality who rose to fame because of his beauty videos. His net worth? $50 million. Logan Paul is a twenty-something YouTube star who vlogs about random things like… his dog, for example. He made $12.5 million in 2017. Jenna Marble’s net worth is $5 million. Have you heard of Roman Atwood? This comedian, prankster, and vlogger, Roman Atwood has a net worth of $12 million! Lily Singh is a Canadian YouTube personality with over 7,000 million views – and a net worth of $18 million! To sum up, there’s big money in the YouTube market, and a handful of people are cashing in staggering amounts of cash through the platform. But making decent money with YouTube is difficult. With stricter rules and regulations, aspiring vloggers need to try a lot harder to be able to make this platform lucrative. Any newbie YouTuber should be prepared for years of relentless sharing of unique, engaging content. Building a strong and engaged following requires time and effort – and if you think you have what it takes, your best bet would be to start vlogging as a hobby and seeing where it takes you. That said – if you’re someone who could talk for hours about a topic you’re interested in, and that topic happens to be something that draws in millions of people – well, why not give it a try? On a side note – have you checked out the Millennial Money YouTube channel yet? It features exclusive tips and advice on personal finance, investing and entrepreneurship – and is there to help make reaching financial independence possible. Hit “subscribe” to make sure you don’t miss a beat!